A look at what's left of the Eastside's A. Philip Randolph Boulevard 48 years after the riot of 1969. 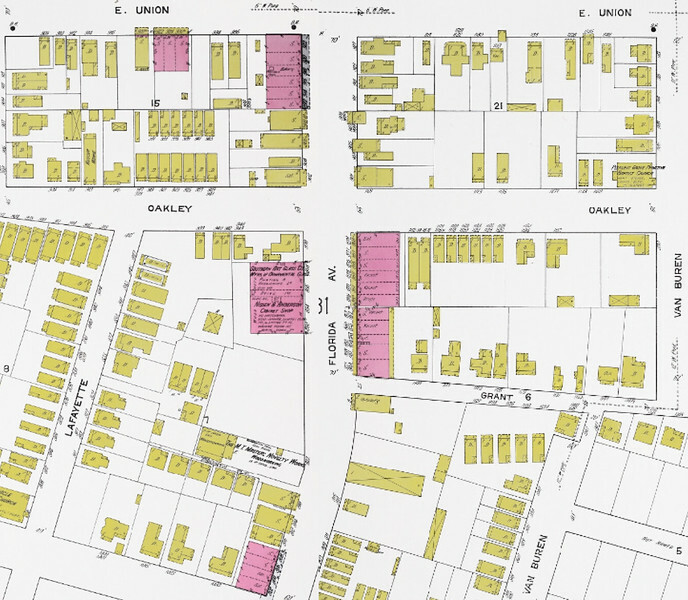 During the first half of the 20th century, Florida Avenue was the Eastside’s version of LaVilla’s Ashley Street. Known as “The Avenue”, it was the center of commerce for African-Americans living in communities east of Hogans Creek and the railroad line that once terminated at the Maxwell Coffee plant and Jacksonville Shipyards site. Stretching several blocks between the Mathews Bridge expressway viaduct and First Street, the Avenue was the place on the Eastside to be see and be seen and connected to downtown with a streetcar line that run down its center. 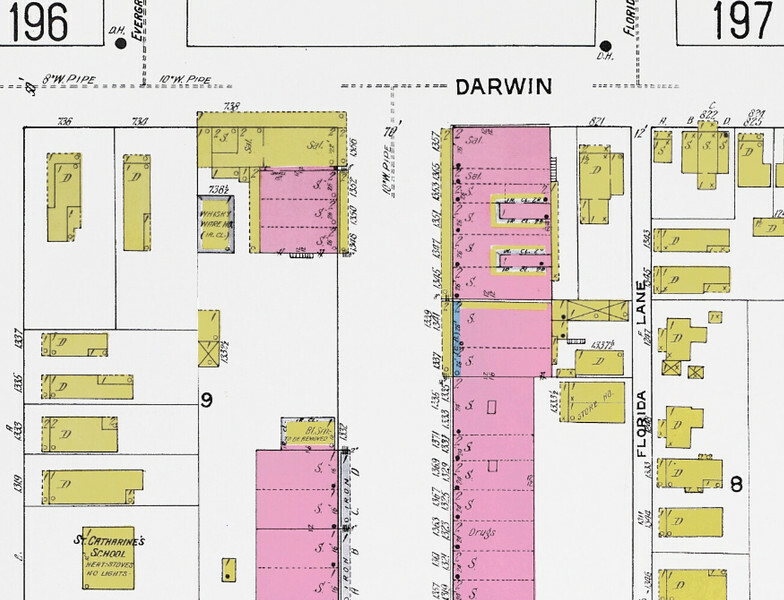 A dense, pedestrian friendly strip, its line of mixed use buildings were occupied to mom and pop businesses, restaurants and clubs, including the Blue Ridge Inn, Charlie Joseph’s grocery store, Johns Furniture and Bill’s Clothing. Famed neighborhood residents who onced frequented this strip include internationally known individuals like Philip Randolph and Zora Neale Hurston. The Avenue’s fortunes forever changed during the 1960s, a decade of heightened racial tension throughout the country. However, the first major event was a natural one, causing $1.5 billion in damage to the city. 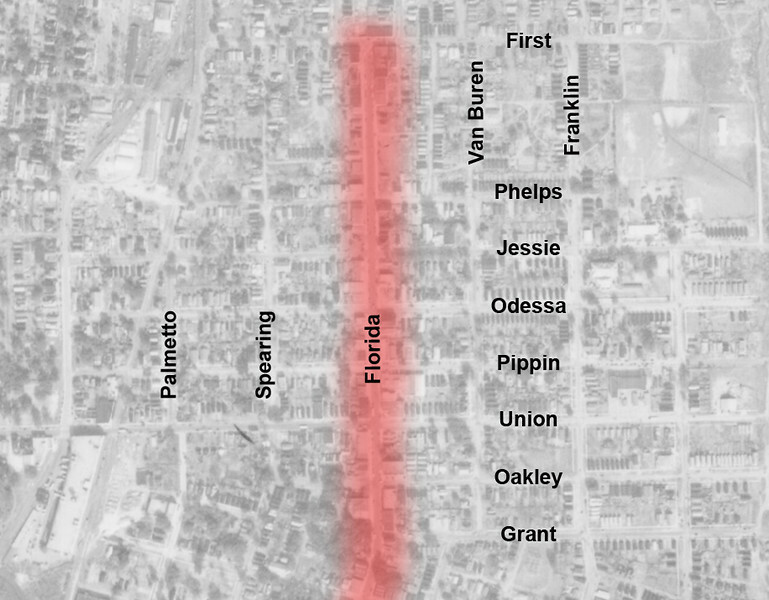 In September 1964, Hurricane Dora hit Jacksonville as a Category 2 storm, damaging buildings on Florida Avenue and setting of the looting of businesses along the street. Nevertheless, a shooting on October 31, 1969, delivered an economic punch the Avenue has yet to recover from. Parked on the 900 block of Florida Avenue and in belief of his vehicle being burgerized, a white cigarette salesman shot a 20-year old African-American man named Buck Riley. In the process of trying to avoid being gunned down, Riley ran towards a group of school children, with the truck driver firing his gun into the crowd. Finding himself on “the wrong side of the tracks”, things quickly spiraled out of control. Soon a crowd of residents flipped the salesman’s truck and set many of the Avenue’s buildings, including Johns Furniture Store and Setzer’s Supermarket, on fire. What was not burned was looted as rioters threw rocks through the windows of business like Bill’s Clothing. In addition, vehicles were burned, a policeman was struck with a brick and two people were injured by gunfire. A 1952 aerial of Florida Avenue. What the police and Mayor Hans Tanzler could not initially control, fizzled out with the assistance of heavy rains. In the end, 11 people were arrested with 10 being charged for disobeying police officers and using profanity. Charges were dropped against Riley and the salesman but Florida Avenue was never the same. With many businesses destroyed, others left in fear, leaving the strip a shell of its former vibrant self. Over the last four decades, several attempts have been made to revitalize the strip back to its former glory, including the creation of a redevelopment plan in 1979, rebranding it as A. Philip Randolph Boulevard in 1995 and the completion of a street beautification project in 2003. While full revitalization has failed to materialize, unlike LaVilla’s Ashley Street and much of downtown, what’s left of the historic commercial district still survives. Here’s a photographic look at the commercial strip ten years after the riot and in its present 2017 state.